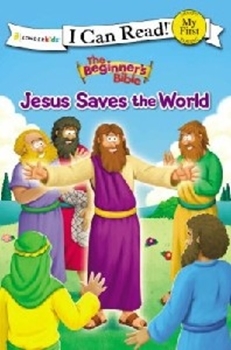 ~Jesus Saves the World highlights the Gospel accounts of Jesus' life, from his birth to his resurrection. The simple storyline and vibrant art will appeal to emerging readers, and will help them understand who Jesus Christ is. Part of the I Can Read! series, this book is a great tool for beginning and developing readers. My First I Can Read! books have basic language, word repetition, and whimsical illustrations that are idea for sharing with an emergent reader.